AER Training - About Us - Meet Our Trainers. AER Training specialise in skills-based training in three key areas: Management, Sales and Personal Development. Our aim is to work in partnership with our clients, to understand their business, and to help them achieve their objectives through practical, accessible and client-focused training. All our trainers are highly experienced specialists in their training field, who work directly with clients to ensure that our courses are tailored to meet your specific training requirements; providing you - the client - with a training experience that is second to none. We can also design & develop bespoke course material to meet unique training requirements you may have. AER work with a wide variety of clients across the UK (both large & small) and across all industry sectors. All our courses are highly interactive and designed to be comprehensive, relevant and fun. Management - we offer a wide range of management courses in both People Management and Management Skills training. Sales Training - including training in Sales & Telesales, Negotiation Skills, Customer Service/Care as well as Key Account Management and Sales Management. Personal Development - including courses in Assertiveness, Influencing Skills, Emotional Intellingence & NLP (Neuro-Linguistic Programming). Whilst working for an office equipment multi-national Angie headed up the UK Marketing Operation. Now working as a consultant, she has successfully designed and delivered programmes for companies across many industry sectors. Angie's key skills are in making training fun, accessible and real; bringing reality into the training room whatever the topic. Her training is highly interactive and geared towards producing results on all levels; motivation through training, with positive results for the individual and the organisation. Recent clients include: RAF, Travis Perkins, Wickes, HSBC Bank, Beyond Ltd, VSL (Voice Services Ltd). Andrea is a highly experienced trainer, facilitator and coach specialising in Management, Personal Development and Customer Care Training. She has a wealth of Customer Service and Management experience, working with Managers of all levels. Having spent the first 10 years of her career managing large teams within multi million pound turnover businesses, she is particularly skilled at engaging and inspiring junior and middle managers and aims to give people the confidence to apply what they have learned in order to achieve the results that will enable them to reach their full potential. Andrea is renowned for her structured, highly interactive and fun style of delivery. Recent clients include: BMW, Tesco, Civil Service Benevolent Fund, Prudential Eli Lilly Pharmaceuticals, Scewfix, Sunglasses Hut, Virgin Media, Crown Pet Food. 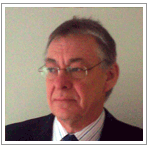 Rod is a highly qualified training consultant with over 25 years corporate experience in the finance sector. He specialises in highly effective Financial Risk Management (including Finance for Non Financial Managers) and Relationship Management Skills Training and has practised all aspects of consultancy, devising, designing and delivering extremely effective bespoke training programmes worldwide. Rod now works with a number of organisations within both the private and public sectors delivering a full consultancy service and is renowned for his stimulating, engaging and successful bespoke programmes globally. Recent clients include: Natural History Museum, HSBC Bank plc (UK, Europe and Central Asia), Institute of Financial Services, Employers Forum on Disability. Julie is a highly qualified and experienced Learning & Development professional with a sound knowledge of organisational culture and strategy. She has over 25 years corporate experience and specialises in the delivery of highly effective Leadership and Management Training. 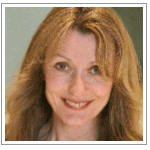 Qualified in psychometric testing and a licensed practitioner of NLP (Neuro-Linguistic Programming), Julie has delivered successful programmes to all levels, up to and including CEO, both within the UK and Europe. She is renowned for her ability to create a fun and interactive learning environment, ensuring a delegate centric, outcome focused style of delivery. Recent clients include: HSBC Bank PLC (UK, Europe & North America), Hull University, Child Centric, PD Logistics. 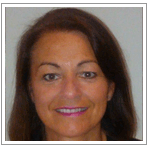 She is an experienced coach, facilitator and assessor and specialises in Leadership and Management Development Training. Debbie has successfully designed and implemented cultural change programmes across a number of blue chip organisations and provided consultancy services to support the design and delivery of global talent management programmes. 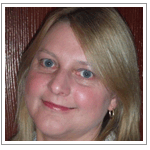 She has level A & B BPS qualification and is accredited to feedback LRDL 360 tools. Recent clients include: Paraexcel, Royal Bank of Scotland, Barclays, GE, The Prison Service and a number of Local Authorities. Megan is an established international people and organisational development consultant with over fifteen years experience. With a degree in Law with Psychology, and a commercial background in sales and marketing, she now specialises in Legal Training, HR, Cross Cultural Communication and Leadership & Management Training. 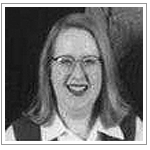 Megan is a Certified Master Trainer, and is trained in SDI, NLP, Myers Briggs, and Accelerated Learning. She specialises in designing and developing individual, group and organisational training and, in particular, in facilitating and delivering to large groups: she understands how to design exercises and sessions to maintain individual engagement within a larger audience, and she is an exceptional presenter whose energy and enthusiasm are totally infectious. Megan has worked with many leading edge blue-chip and public organisations in the UK and Europe. 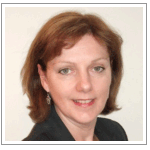 She speaks a number of European languages and is a member of the Chartered Institute of Personnel and Development. Recent clients include: Panasonic, Dixons Store Group International, AMT Terminals, SMC Technologies, The Body Shop, HSBC Bank, Avis, Disney Buenavista, American Express.